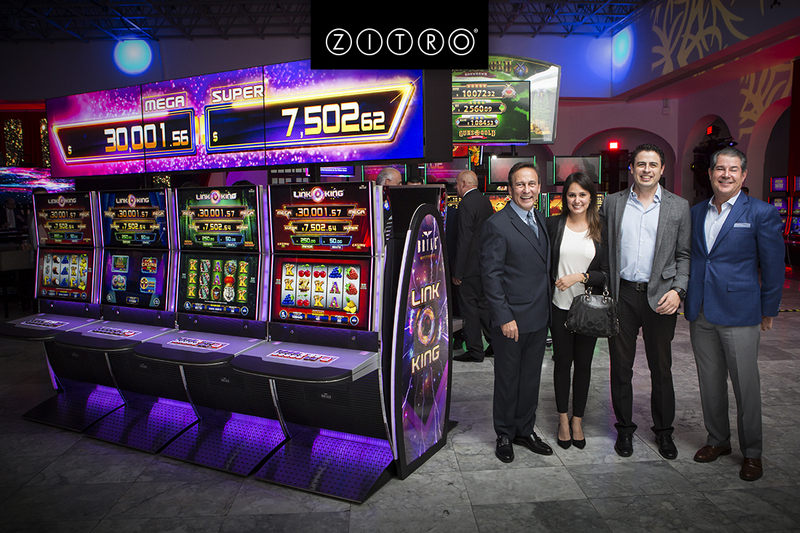 The Mexican operator, PlayCity Casino, a subsidiary of the most important media group in Mexico, currently operates 16 gaming venues throughout the country. After years of strongly betting on Zitro’s successful Video Bingo products, the important operator also trusts the wide range of Bryke Video Slots products, increasing the units installed in its casinos to 316. With this agreement, Playcity already has all of Bryke’s product lines such as the multi-game standalone line Pick & Win; or the line of progressive banks LAP, such as Blazing Pearls, which has caused a furore in the Mexican market and around the world. In addition to these successful product lines adds the impressive line of LAP’s with panoramic screen of which the first product is Link King, a multi-game bank with a 4-level progressive and a tremendously exciting mechanic to obtain the progressive jackpots. With these, its first three product lines, the Bryke Video Slots range are prepared to meet the needs of all the diversity of customers who visit PlayCity casinos, Mexico and the rest of the world.